This chapter covers the onset of symptoms, misdiagnoses, biopsies as a diagnostic tool and what it takes to get an “official” PRP diagnosis. For most of us, this is looking back to see how our experiences compare with others in the PRP community. ✓ How is PRP diagnosed? ✓ How do PRP symptoms progress? ✓ Why is it so difficult to diagnose PRP? ✓ How can I be sure the diagnosis is correct? ✓ Is PRP autoinflammatory or autoimmune? ✓ What are the variations “types” of PRP? ✓ How important is it for you to know your type? ✓ What is a skin biopsy? ✓ Why have a skin biopsy? ✓ What are the types of skin biopsies? ✓ What should the patient know about skin biopsies? ✓ What are the risks associated with a skin biopsy? ✓ How is a biopsy performed? ✓ What happens to the biopsy sample? ✓ What did we learn from the 2013 PRP Biopsy Poll? 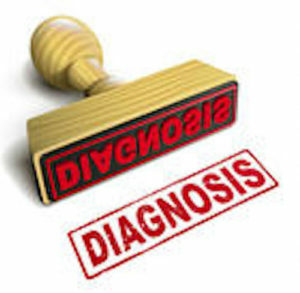 ✓Are diagnostic errors common a common medical mistakes? ✓ What is the Iatrogenic effect? ✓ What are the life threatening aspects of a PRP misdiagnosis? ✓ Does your rare disease have a code? ✓ Were dermatologists ready for ICD-10? ✓ What is the ORPHA Number for PRP?